Context: Recently, non-communicable diseases have snatched the lead from infectious diseases in causing mortality. Of these, oral cancer accounts for a significant proportion of deaths. 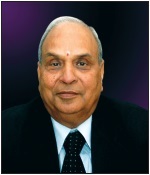 Every year in India significant percentage of newly diagnosed malignancy is oral cancer attributed to various reasons. 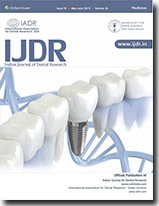 Aims: The aim of this study was to assess the extent of oxidative stress and its effect on modification of DNA by urinary nucleoside 8-hydroxy-2'-deoxyguanosine (8-OHdG) levels in oral cancer subjects. To see the relationship between the nucleoside 8-OHdG and antioxidant capacity ferric reducing ability plasma (FRAP) in oral cancer subjects. 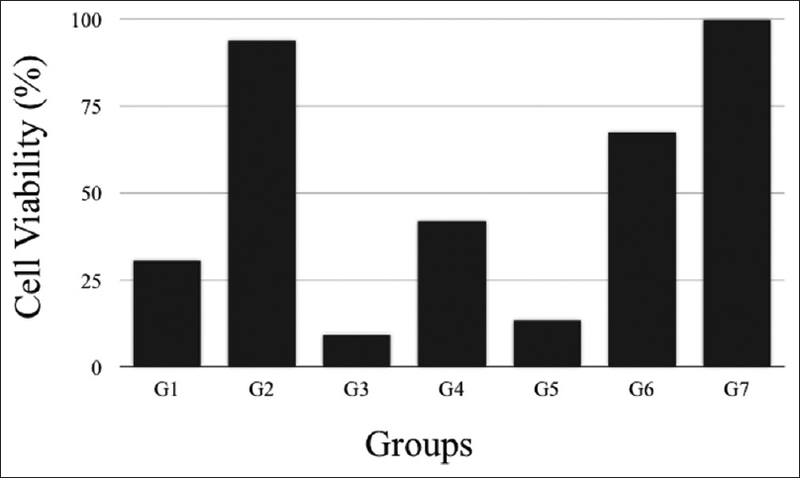 Settings and Design: Case–control study included three groups with 60 volunteers, who were divided into 30 controls, and equal number of clinically diagnosed oral cancer male patients: (Subdivided into newly diagnosed [n = 15] and 1-year treatment follow-up oral cancer subjects [n = 15]). Materials and Methods: A random urine sample was used for analysis of 8-OHdG concentration. Serum triglycerides, lipid peroxidation, protein thiols, and FRAP assay were performed by spectrophotometric technique. Statistical Analysis Used: Student's t-test and one-way analysis of variance were performed for group comparison and Pearson's correlation analysis were used. A P < 0.05 was considered the optimum level of significance. Results: The urinary 8-OHdG and serum malondialdehyde levels were significantly elevated in newly diagnosed oral cancer subjects in their 1-year treatment compared to the control group (P < 0.05). A significant correlation was observed between urinary 8-OHdG and FRAP in both groups of oral cancer subjects. Conclusions: Urinary 8-OHdG can be a useful diagnostic marker of oxidative DNA damage in oral cancer subjects. Context: Both periodontitis and cardiovascular diseases (CVD) represent chronic inflammatory conditions, and periodontal infections have been postulated to perpetuate the progression of CVD's. However, limited evidence is available to prove the causal relationship. Aim: An effort in exploring this interrelation has been made in this study. The role of two inflammatory mediators, soluble CD40 ligand (sCD40 L) and monocyte chemoattractant protein-1 (MCP-1) has been established in progression and acute precipitation of CVD's. Due to a close link between these two mediators, the present study was designed to correlate the levels of sCD40 L and MCP-1 in serum and gingival crevicular fluid (GCF) of patients with chronic periodontitis. Methods: Fifteen healthy and 30 patients of severe chronic periodontitis (diseased) participated in the study. Patients of the diseased group underwent scaling/root planning. The evaluation of plaque index, gingival index, probing depth, clinical attachment level, and a collection of serum and GCF samples was done at baseline and 6 weeks following periodontal therapy. The sCD40 L and MCP-1 levels were quantified using ELISA. 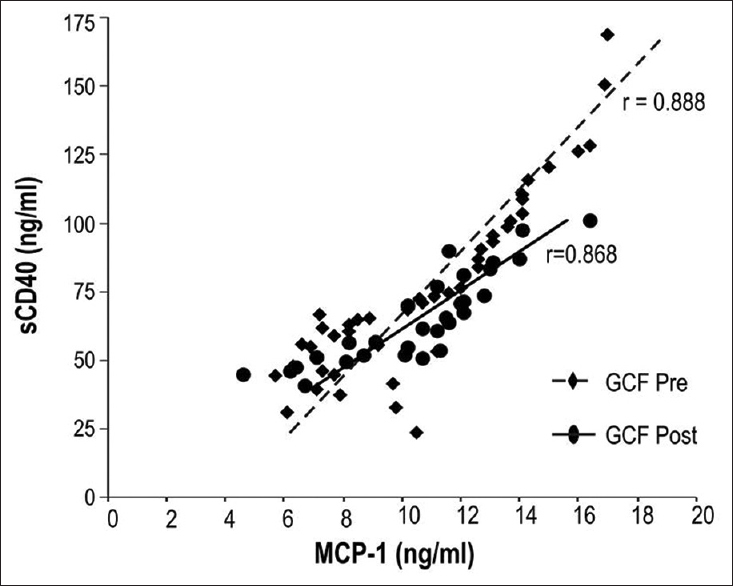 Results: The sCD40 L levels correlated strongly with MCP-1 levels in both GCF (r = 0.888) and serum (r = 0.861) in patients of chronic periodontitis. The relationship between the levels of the two markers was maintained in GCF (r = 0.868) and serum (r = 0.750) after Phase I periodontal therapy. Conclusions:The positive correlation observed suggests this pathway as one of the mechanisms that may lead to increasing severity of periodontal disease and its systemic effects. Further research efforts should be made in designing appropriate clinical trials, starting at an early stage and monitoring the potential benefits of maintenance of oral hygiene on cardiovascular health. Objectives: Miniscrews have been used in recent years for anchorage in orthodontic treatment. However, it is not clear whether the miniscrews are absolutely stationary or move when force is applied. This prospective clinical study was undertaken to evaluate the mobility of orthodontic miniscrews under orthodontic loading using computed tomography. Materials and Methods: Ten adult patients (7 females and 3 males with mean age of 19 years, 7 mm overjet) who required en masse retraction of upper and lower anterior teeth infirst premolar extraction spaces were included in this study. After initial alignment of anterior teeth, the 0.019" ×0.025" stainless steel archwire were placed in preadjusted edgewise appliance. The miniscrews (diameter - 1.3 mm, length - 7 mm) were inserted in between second premolar and thefirst molar in the maxilla (zygomatic buttress) and in mandible on the buccal side as direct anchorage. Immediately after placement of miniscrews without waiting period, NiTi coil springs (force of 150 g in the maxilla and 100 g in the mandible) were placed for the retraction. Denta Scans were taken immediately before force application (T1) and 6 months later (T2). The mean changes obtained at T1 and T2 in Denta Scans (axial plane, coronal plane, paraxial plane) were evaluated to determine any movement of different parts of miniscrews using one-way ANOVA test and Student's unpaired t-test. Results: On average, miniscrews were extruded and tipped forward significantly, by 1 mm at the screw head in the axial plane (Group III) and 0.728 mm in the coronal plane (Group IV). Tail of miniscrews showed average tipping of 0.567 mm in the axial plane (Group I) and 0.486 mm in the paraxial plane (Group V). Least average mobility was shown by screw body of 0.349 mm in the axial plane (Group II). Clinically, no significant mobility was observed. Conclusion: Miniscrews are a stable anchorage for orthodontic tooth movement but do not remain absolutely stationary like an endosseous implant throughout orthodontic loading although miniscrews might move according to placement site, orthodontic loading, and inflammation of peri-implant tissue. Waiting period between miniscrews placement and orthodontic loading does not significantly affect the miniscrew mobility so immediate loading can be recommended. To prevent hitting any vital organs because of miniscrew mobility, it is recommended that they can be placed in a nontooth-bearing area that has no foramen, major nerves, or blood vessel pathway, or in a tooth-bearing area allowing a 1.5 mm safety clearance between the miniscrew and dental root. Background: To assist the retention of restorations prepared in endodontically treated teeth, fiber posts are widely used in dental practice. The ideal time to prepare space for the post is still controversial. Aim: The purpose of this study was to evaluate the effects of immediate and delayed postspace preparation on the retention of the self-adhesive resin cement. Materials and Methods: Twelve bovine teeth were used with sectioned roots standardized to 19 mm. The teeth were properly instrumented and filled with gutta-percha and eugenol-free cement AH Plus. Two experimental groups (n = 6) were created based on the different times of post preparation (immediate and delayed). Using cemented cylindrical fiber posts, the teeth were put in acrylic resin and polyvinyl chloride tubes, where the cuts were made. Two slices were obtained from the cervical third, two from the medium third and two from the apical third. Subsequently, the samples were subjected into push-out tests. Statistical analysis were performed using ANOVA and Tukey's test (P = 5%). Results: The results indicated that, for all of the evaluated thirds, delayed preparation showed greater bond strength than immediate preparation. 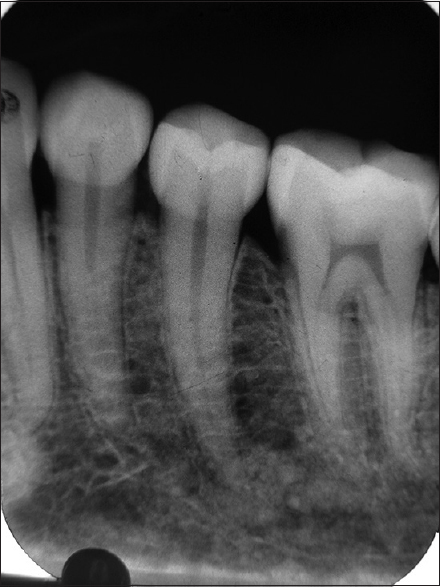 Conclusion: A delayed post preparation of the root space, following the root canal filling, is recommended. Aims: To observe and characterize the histological features of fluorosed teeth under light and confocal microscope (CFM). Materials and Methods: A total of 25 fluorosed teeth and 5 normal teeth were collected from dentists across Dindigul, a known endemic area of fluorosis in South India. Ground sections of respective teeth were observed under light microscope and the sections were subsequently stained with acridine orange and studied under CFM. 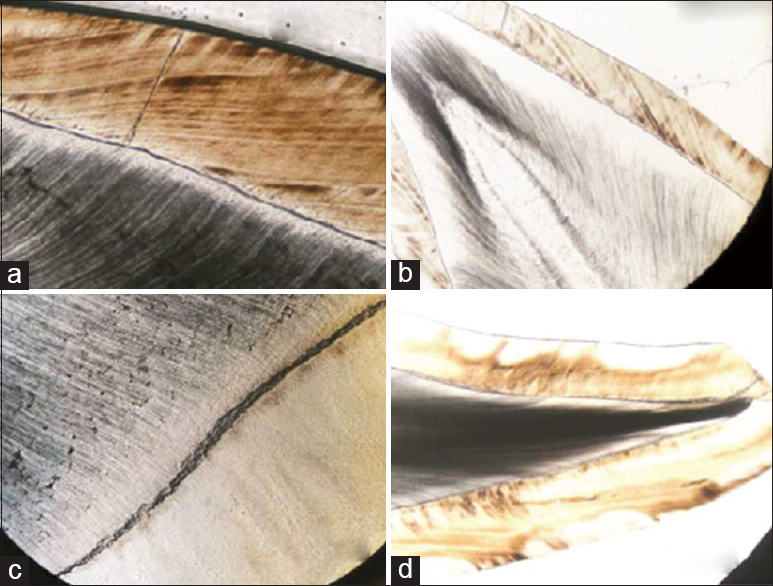 Results: Histological changes were observed in the ground sections of fluorosed teeth as compared with the normal teeth. Depending on the degree of fluorosis, the affected teeth showed various features of hypomineralization in enamel and dentin. Conclusions: Fluoride interacts with both mineral phases and organic macromolecules by strong ionic and hydrogen bonds resulting in incomplete crystal growth at prism peripheries. This presents as hypomineralization of enamel and dentin. Objective: The aim of this trial was to evaluate the bleeding after dental extractions among patients on uninterrupted antiplatelet therapy. Materials and Methods: A total of 190 patients under oral antiplatelet drugs requiring extraction of a single molar tooth were randomly assigned to two groups. Group A consisted of 95 patients on uninterrupted antiplatelet therapy and Group B consisted of 95 patients who have discontinued antiplatelet medication 5 days prior to extraction. The bleeding time of all patients was checked prior to extraction. The surgical procedure involved simple extraction of a single molar tooth under local anesthesia. The extraction socket was sutured with 3–0 silk. Pressure pack with gauze was given for 1 h. Bleeding after 1 h, 24 h, 48 h, and 5 days were compared between two groups. Chi-square test was used to compare the variables. P < 0.05 was taken as significant. Results: None of the patients in either group had any significant uncontrollable bleeding after extraction. Conclusion: Hence, we recommend routine single tooth extractions in patients on long-term antiplatelet medication, without interruption or alteration of their medication. Such patients do not have an increased risk of prolonged or excessive postoperative bleeding. Context: Whenever there is loss of teeth and occlusion, it triggers a change in the functional and structural relationship of the mandible. Various physiologic factor such as age and changes in occlusion lead to specific remodeling changes in the temporomandibular joint (TMJ). Aims: The aim of this study was to evaluate and compare the influence of dentition on condyle-fossa position by comparing this variable in dentulous and edentulous subjects using lateral cephalogram. Settings and Design: The study was conducted on 25 dentulous and 25 edentulous subjects, comprising of males and females, visiting Yenepoya University, Mangalore. Subjects and Methods: The age ranges of dentulous subjects were 25–30 years and edentulous subjects of 45–65 years with 1–5 years of edentulousness were chosen. Lateral cephalograms were taken, and various reference lines and planes were used to determine the center of condyle and center of the glenoid fossa. Statistical Analysis Used: The results were analyzed by SPSS version 7.0 (SPSS Inc., Chicago) and statistical analysis used was t-test. Results: Condyle was placed upward and forward, and glenoid fossa was situated more anteriorly in edentulous subjects compared to dentulous subjects. Conclusions: This study supports the concept that TMJ is an articular triad with two points of contact provided by TMJ and third contact by the dentition. Alteration in any one of these contact points will produce secondary morphological changes in other two points. Aim: The study aimed to answer for the question whether a tooth in line of fracture predispose to complications such as infection and thereby warranting removal of the plates. Materials and Methods: Surgically rehabilitated patients for unilateral angle of mandible fractures at author's center from 2000 to 2013 were considered in this study. During the study period, about 116 cases fulfilled the inclusion and exclusion criteria, and hence included in this study. All patients were treated by open, rigid fixation. Results: During the fracture reduction and immobilization, 52.6% (n = 61) cases, the third molar was extracted and in 47.4% (n = 55) cases, the tooth was preserved. Only two cases of infection that required the plate removal occurred by 3 months and another one case within the next 6 months. When the tooth in question was removed, infection did not occur. In all, 52.72% (n = 29) of the 55 cases preserved were needs to be extracted for various reasons. The most common being periodontal causes followed by periapical pathology. Statistically the relationship between demographic data and outcome measures were analyzed using Chi-square test bivariate statistics. A P < 0.05 was taken as significant. Conclusion: The present study fails to identify any concrete factors that would predict the failure of the retained third molar that were involved in the line of mandibular fractures. The proof presented here, especially with low complication rates indicate that all impacted third molar along the line of fracture be removed and unless necessary, the partially erupted teeth would also be extracted. In such a situation, the rate of infection and survival of the third molar would have been entirely different. Background: Rampant caries in adults has not been a focus of many researches unlike the childhood form of the disease. The disease is an interesting finding in an adult patient. When the condition occurs in children, it has been described as nursing bottle caries, baby bottle tooth decay, and the most recently adopted term, "early childhood caries". Aim: The aim was to determine the prevalence of rampant caries among adult patients. Materials and Methods: Cases of rampant caries were identified from the records of all the patients treated during a 5-year period. Variables considered included the socio-demographic data, frequency of consumption of cariogenic diet, social habits, decayed, missing, filled teeth (DMFT), socioeconomic status (SES), and oral hygiene (OH), etc. Data were analyzed using student's t-test and one-way ANOVA for continuous variables, while Fishers exact test was adopted for categorical variables. Level of significance was set at P < 0.05. Result: Less than 1% (21 out of 3458) of patients treated during the period had adult rampant caries, but only 17 patients with complete data were analyzed. The age range of the patients was 22–61 years with a median of 36 years. The number of teeth with open carious cavities ranged from 8 to 18, with a mean of 11.6 ± 3.3 teeth. A statistically significant difference was found in the number of open carious cavities and gender (P = 0.03), and between the SES and OH (P = 0.001). Patients in low SES had the poorest OH, The number of open carious lesion was higher in those that consumed refined sugar regularly. Conclusion: Occurrence of rampant caries was low and related to low socioeconomic status and regular consumption of cariogenic diet. Background: Diabetes mellitus is a complex multisystem metabolic disorder characterized by a deficit in the production of insulin. The oral complications of uncontrolled diabetes mellitus are devastating. Saliva is an organic fluid that can be collected noninvasively and by individuals with limited training. These reasons create an interest in evaluating the possibility of using saliva as a diagnostic tool. Aims and Objectives: The aim of this study was to determine, if saliva can be used as a noninvasive tool to monitor glycemic control in Type 2 diabetes. Comparative assessment of salivary (glucose, amylase, total protein levels) in patients with Type 2 diabetes and controls. Materials and Methods: A total of 40 individuals, 20 with Type 2 diabetes and 20 controls of age group 40–60 years were selected for the study. Diabetic status was assessed by estimating random blood glucose levels. Unstimulated saliva was collected from each participant and investigated for glucose, amylase, and total protein levels. Salivary glucose estimation was performed using glucose-oxidase method, amylase by the direct substrate kinetic enzymatic method, and total protein by pyrogallol red dye end point method. All the parameters were subjected to statistical analysis using SPSS version 20.0. Results: Significantly higher salivary glucose, lower amylase, and total proteins were observed in patients with Type 2 diabetes than controls. There was no significant correlation between salivary and blood glucose levels. Conclusion: These results suggest that diabetes influences the composition of saliva. Since a significant correlation was not observed between salivary and blood glucose levels, further research is needed to determine salivary glucose estimation as a diagnostic tool for diabetes mellitus. Aim: The aim of the study was to compare the fracture resistance of roots obturated with mineral trioxide aggregate (MTA) obturation with post, MTA apical plug with Resilon obturation, MTA apical plug with gutta percha (GP) obturation, complete MTA obturation in teeth with wide open apex. Materials and Methods: Fifty freshly extracted human maxillary central incisors were selected. Teeth were divided into four experimental groups (n = 10) and one control group (n = 10). Fifty teeth were separated, and roots of each tooth were standardized to a length of 12 mm. Access opening was done and instrumented with ProTaper F2 passed beyond the apex. The canals were then irrigated with 17% ethylenediaminetetraacetic acid and 3% sodium hypochlorite. Calcium hydroxide was placed in the canals for 7 days. The specimens were then divided into five groups. Group I: Apical plug MTA with metal post, Group II: Apical plug MTA with Resilon, Group III Apical plug MTA with GP, Group IV: Complete MTA obturation, and Group V: Control group. Fracture strength was measured using Instron testing machine at a speed of 5 mm/min, and the data were statistically analyzed using ANOVA and t-test. Results: The roots reinforced with metallic post and MTA (Group 1) has the higher fracture strength when compared with other groups (P < 0.05). Conclusion: This Ferro-concrete reinforcement technique of MTA with the metallic post can be used in cases with wide open apex to increase the fracture resistance of tooth. Aim: To determine the degree to which trabecular bone contributes to the radiographic visibility of laminadura (LD). Study Design: Human dry mandibles were obtained, and a series of radiographs were acquired in the premolar region. Radiographs taken were: (1) Before removal of any bone, (2) After removal of small amount of cortical bone at the apex of tooth, (3) Removal of trabecular bone, (4) Smoothing of endosteal surface of cortical bone. The radiographs were projected to a panel of six oral radiologists, and they were asked to judge the visibility of LD. Results: Chi-square analysis revealed a significant radiographic difference between radiographs made initially and after removal of trabecular bone, cortical bone and smoothing the endosteal surface of cortical bone. Conclusion: There was statistically significant difference in the visibility of loss of LD when trabecular bone is lost. LD can be visible only if the endosteal surface of the cortical bone and trabecular bone is intact. Aim: The aim of this study was to evaluate the correlation between the cytotoxicity and degree of conversion (DC) of self-etch resin cements with or without photopolymerization. Materials and Methods: Three self-etching resin cements with or without photopolymerization were evaluated. Six test groups and one control group represented by a standardized L929-fibroblast cell culture were formed. The DC was measured by Fourier transform infrared spectrometry and was correlated with cell culture survival. Statistical Analysis: The analysis of variance and Bonferroni–Holm tests were applied (P < 0.05). Results:The results show that, the cytotoxicity of self-etching resin cements is directly related to the DC. With the exception of Unicem, the other cements show some level of cytotoxicity, even with photopolymerization. Conclusion: These results indicate that photopolymerization of dual cure self-etching resin cements decrease toxic effects on cell culture. Adequate photopolymerization should be considered during cementation when using dual polymerization self-etching resin cements. Background: Several surface treatments could be used to improve the bond strength (BS) between indirect composites and cement. Aim: To evaluate the BS of an indirect composite submitted to different surface treatments, cemented to bovine dentin. 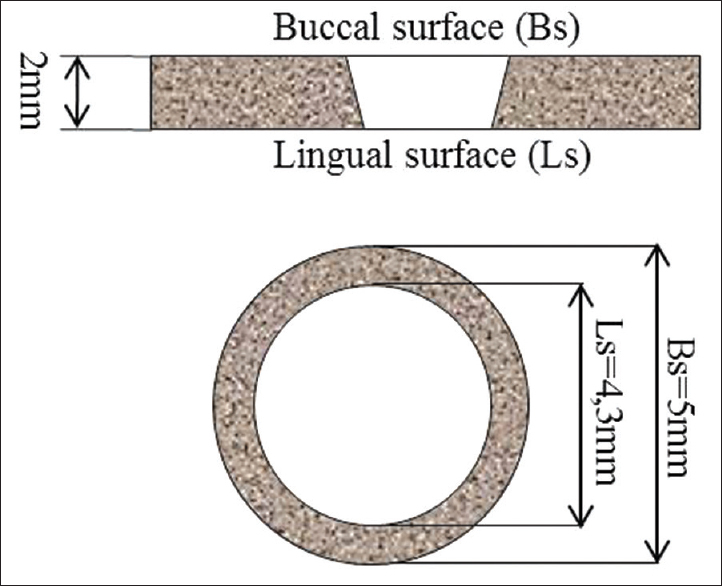 Settings and Design: One hundred and fifty conical cavities were prepared in slices of bovine dentin and bulk filled with the composite. Materials and Methods: After curing and removal from the cavity, the restorations were treated according to the groups (n = 10): C-untreated, S-Sandblasting; SS-Sandblasting + silane; F-hydrofluoric acid; FS-hydrofluoric acid + silane; SF-Sandblasting + hydrofluoric acid; SFS-Sandblasting + hydrofluoric acid + silane; E-ethanol; ES-ethanol + silane; SE-Sandblasting + ethanol; SES-Sandblasting + ethanol + silane; P-H2O2; PS-H2O2 + silane; SP-Sandblasting + H2O2; SPS-Sandblasting + H2O2 + silane. 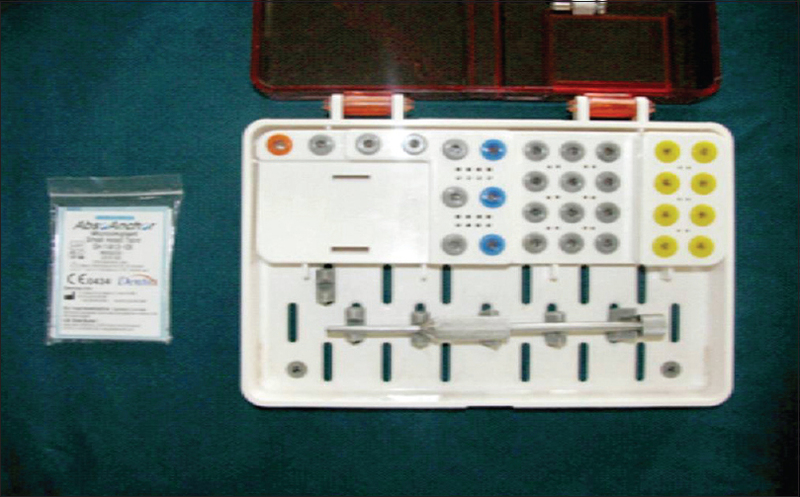 After cementation, push-out test was performed in a universal testing machine. Statistical Analysis: Data were submitted to nonparametric tests (Kruskal–Wallis and Mann–Whitney U-tests, α = 0.05). The failure mode was observed under a stereomicroscope and the topography by scanning electronic microscopy (SEM). Results: Sandblasted groups led to the highest BS values, (P < 0.001), except for the SFS group. SE, SES, and SPS led to higher BS values than S and SS groups (P < 0.05). F, E andPgroups showed the lowest BS values. The number of cohesive or mixed failures was related to higher BS values. SEM evaluation showed major irregularities only for sandblasted groups. Conclusions: Sandblasting was a safe surface treatment for the indirect composite, increasing the BS values. Hydrofluoric acid applied after sandblasting damaged the BS values and should not be recommended while ethanol and H2O2, when applied after sandblasting, were effective in increasing BS values. Background: Multinucleated giant cells (MNCs) form an integral part of numerous bone and soft tissue tumors, tumor-like lesions and are often associated with granulomas of immunological and nonimmunological origin. The presence of various types of giant cells depends on the lesions in which they are present which are difficult to be diagnosed under routine histological techniques. Immunohistochemistry can be used for a better diagnosis and understanding of the origin of various giant cells using various markers of immune response like human leukocyte antigen-DR (HLA-DR) and those expressed on monocytes and macrophages like CD 68 and leukocyte common antigen (LCA). Materials and Methods: The study group consisted of 10 cases of giant cell tumor (GCT) of long bones, tuberculous granuloma, and giant cell granuloma to evaluate and analyze the expression pattern of LCA, CD 68, and HLA-DR in various giant cell lesions. Results: Strong expression of CD 68 was observed in 80% of the lesions, strong and moderate expression of CD 45 observed in 70% of the lesions among and within the groups. In contrast, HLA-DR demonstrated negative expression in 80% of cases except for tuberculous granuloma where all the 10 cases showed moderate to strong immunoreactivity. Conclusion: CD 68 and CD 45 expression was found in central giant cell granuloma, peripheral giant cell granuloma and GCT, suggesting the origin from mononuclear phagocyte system and considering their clinical behavior of osteoclast type. High expressivity of HLA-DR in tuberculous granulomas which is an essential factor for presentation of the microbial antigen to CD 4 helper cells thus reassuring the fact that they are up-regulated in response to infection. Context: Calcium hydroxide (Ca(OH)2) paste filling is largely used as intra-canal medication and can be combined with different vehicles. Removal of that paste should be preceded by obturation, to avoid the occurrence of apical microleakage. Aims: To evaluate the efficiency of removal of pulp Ca(OH)2, from using different vehicles (water, propylene glycol) and removal techniques (mechanical and ultrasonic). 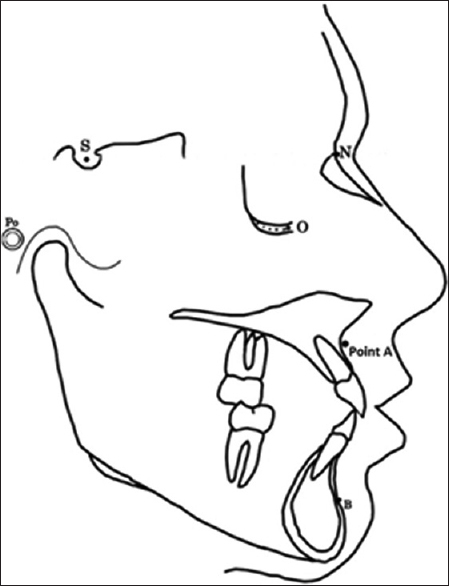 Study Design: Twenty-four premolars and four human incisors were prepared with step-back technique and divided into six groups according to the removal techniques and vehicles used: Group distilled water/mechanical removal, Group distilled water/ultrasonic removal, Group propylene/mechanical removal, Group propylene/ultrasonic removal, negative control group, and positive control group. The differences between groups were analyzed. Materials and Methods: The teeth were prepared by step-back technique. 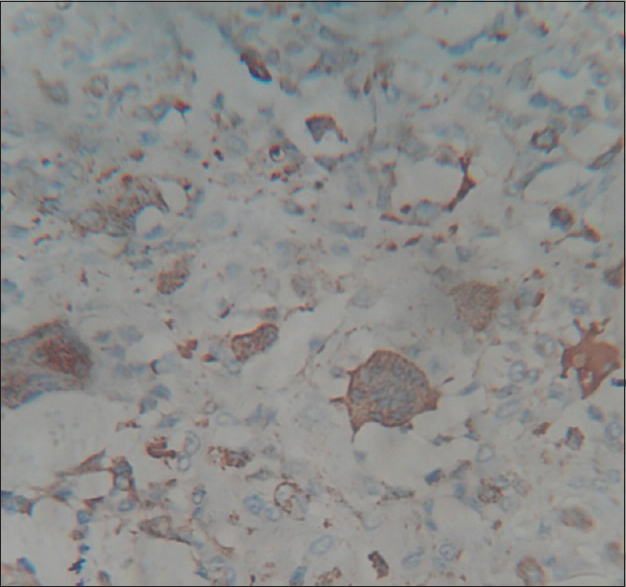 The samples were evaluated by stereomicroscopy, using a scoring system for the evaluation of residues in the canal. Statistical Analysis: Mann–Whitney test was used to a comparison between groups with the same vehicle. For comparison between groups, regardless of the vehicle, we used the Kruskal–Wallis test, considering P < 0.05 for both tests. Results: Groups using distilled water or propylene glycol did not show statistically significant results. When the groups were compared, differences were detected between groups distilled water/propylene and mechanical removal/removal ultrasonic, with thefirst featuring superior performance. Conclusion: None of the removal techniques employed in this study was able to completely remove Ca(OH)2 from the root canal. However, the use of distilled water as a vehicle and ultrasonic removal presented the best performance. Objective: Roughening of the aged composite resin core (CRC) surface seems essential for durable adhesion. 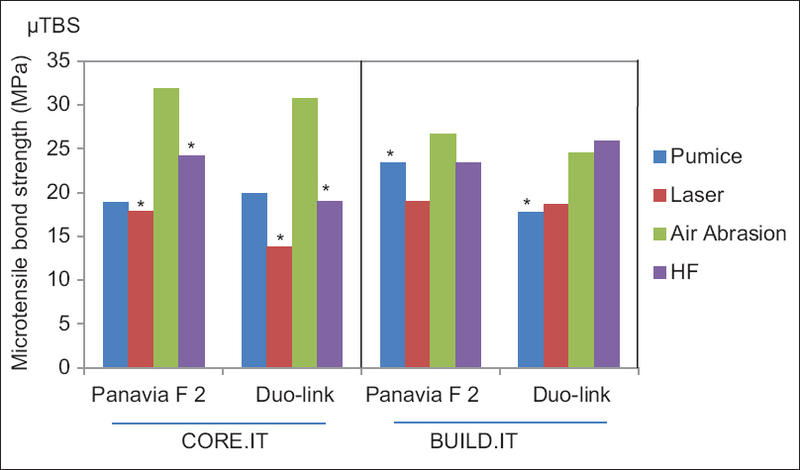 The aim of this study was to investigate the influence of various surface treatments and different resin cements on microtensile bond strength (µ TBS) between two aged core build-up composites (CBCs) and feldspathic ceramic. Materials and Methods: A total of 16 composite blocks made of two CBCs, Core.it and Build-it were randomly assigned to four surface treatment groups after water storage and thermocycling (2 weeks and 500 cycles). Experimental groups included surface roughening with air abrasion (AA), hydrofluoric acid, pumice, and laser and then were bonded to computer-aided design/computer-aided manufacturing feldspathic ceramic blocks using two resin cements, Panavia F2 (PF), and Duo-link (DL). The µ TBS was tested, and the fracture mode was assessed. The data were analyzed with multiple analysis of variance to estimate the contribution of different surface treatments, resin cements, and two aged CRCs on µ TBS. Statistical significance level was set at α < 0.05. Results: Surface treatment and cement type significantly affected bond strength (P < 0.001) but the type of CRC did not (P = 0.468). Between roughening methods, the highest and the lowest values of µ TBS were sequentially obtained in AA and Er.YAG laser groups. The highest bond strength was in AA group cemented with PF (31.83 MPa). The most common failure mode was cohesive fracture in the cement. Conclusion: Different surface treatments had different effects on µ TBS of aged CRCs to feldspathic ceramics. PF was significantly better than DL. 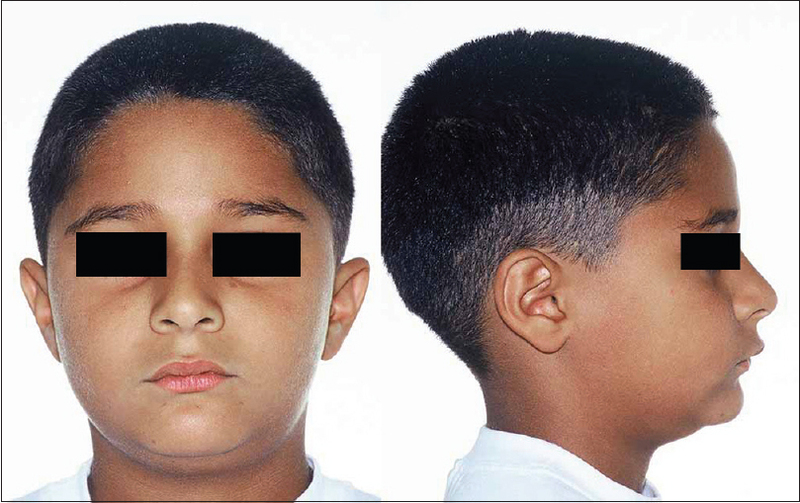 The purpose of this article is to present the treatment of a 8-year-old boy with tooth ankylosis in teeth 85 and Class II division 1 malocclusion and to report a 10-year follow-up result. The patient was initially treated with a sagittal removable appliance, followed by an eruption guidance appliance and braces. The interceptive orthodontic treatment performed to recover the space lost by ankylosis of a deciduous tooth allowed a spontaneous eruption and prevented progression of the problem. 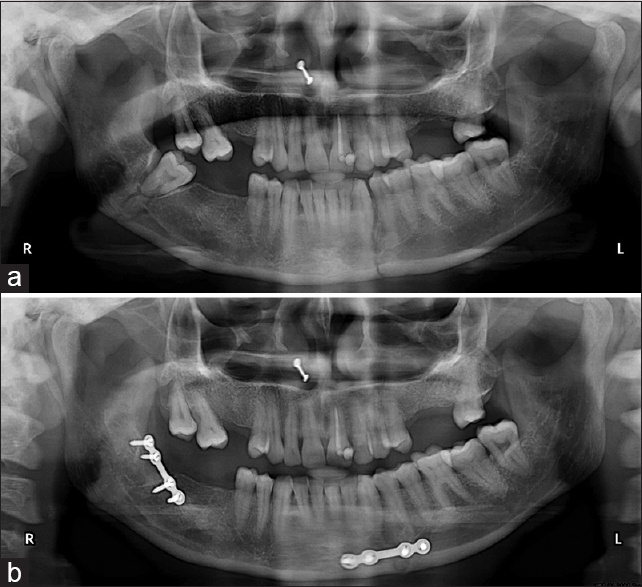 The use of an eruption-guidance appliance corrected the dentoskeletal Class II, thus improving the patient's appearance. Besides the treatment producing a good occlusal relationship with the Class I molar, the correction of the overjet and overbite was stable over a ten-year period. 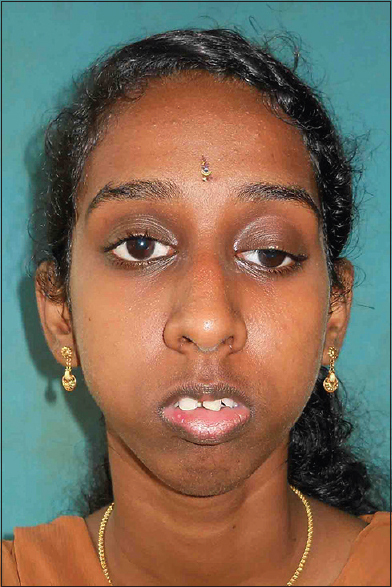 Jaw-winking or the Marcus Gunn phenomenon (MGP), a congenital uncommon condition characterized by involuntary elevation of a drooping upper eyelid concomitant with various movements of the mandible, is well-documented in medical literature, but very little information is available in dental literature. 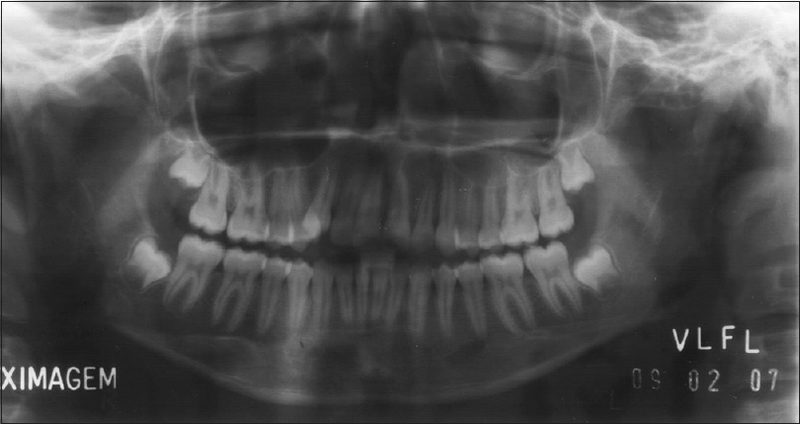 This is an interesting case report of a 17-year-old female with MGP, who reported for orthodontic treatment of her proclined upper anterior teeth, severe lower crowding, and mandibular micrognathia. Review of the literature revealed only two reported cases of dental anomalies in conjunction with MGP. The patient also gave a positive family history of MGP with a maternal cousin having a similar problem. Dentists and other oral health professionals can play a significant role in detection and diagnosis of this rare condition and should take protective measures during dental and oral surgical procedures. Pneumatization refers to the asymptomatic development of cavities containing air within them. There is great variability in the extent of temporal bone pneumatization. Nevertheless, in a few cases it extends to the zygomatic process. Images are presented in which the panoramic radiograph and hypocycloidal tomography reveal this variation from the norm, to which professionals must be alert, since the images may simulate the presence of pathology. In this case report we describe the presence of pneumatization of the petrous and zygomatic portions of the temporal bone, demonstrating the contribution of CT to reconstruction in volumetric 2D and 3D, with the aid of image rendering protocols. This report presents an alternative method for the retention of partial dentures that relies on the engagement of tooth undercuts by a lining material. The lab procedures are also presented. A new maxillary and mandibular acrylic partial dentures were fabricated using elastomeric retention technique for a partially dentate patient. A partially dentate man reported difficulty in retaining his upper removable partial denture (RPD). The maxillary RPD was designed utilizing elastomeric retention technique. During follow-up, it was necessary to replace the retention rings due to wear. The replacement of the retention rings, in this case, was done through a chairside reline technique. Elastomeric retention technique provides exceptionally good retention can be indicated to stabilize, cushion, splint periodontally involved teeth, no enough undercut for clasps, eliminate extractions, single or isolated teeth.